I've always been a wee bit lactose intolerant. Give me something dairy on an empty stomach and its like two broke, pregnant hookers, fighting over the last john during the closing shift at the Gravid Donkey Saloon and Massage Parlor. "My babay need some SIMILAC!!!" Talk about a rumble! Anyway, on a stomach with some food in it, it's smooth sailing. Yoplait has come to the rescue with their new 99% fat free, lactose free yogurt! It comes in 4 flavors, French Vanilla, Strawberry, Cherry, and Peach! Walmart only had Strawberry and French Vanilla so I picked them up using this 30 cent off coupon and headed back to the house so that I could try them. 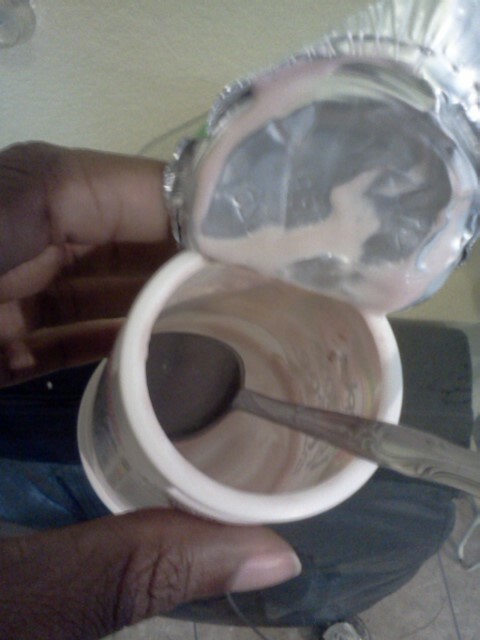 I peeled back the lid, dove in with my spoon, and took a big taste. It tastes just like regular Yoplait! That's a really good thing. Every cup has 50% of the daily value of calcium, vitamin A and D, and no artificial sweeteners. The protein/carb ratio may not make it an ideal choice for wlsers to reach for every day, but it certainly is a treat worth making room for every now and then if you're lactose intolerant. Sooo to celebrate National Lactose Intolerance Month, you'll have a chance to win this super cool, super snazzy, super super, prize kit. I have one of my own and now you yourself can run around and be just as super super as I am. This bag is actually big enough to fit a pair of my super super heels inside. Don't try this at home, kids. Stick to yogurt and other healthful treats. 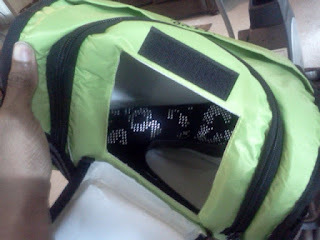 Super Super insulated bag, two gel packs, spoon, bowl, and a coupon for free yogurt! For your chance to win comment with the flavor of Yoplait Lactose Free that you'd most like to try! Tweet about this giveaway. Make sure to mention @yoplaityogurt @waningwoman so I know you did it. + as many times as you want. Get Yoplait Lactose Free ROCKS!!! tattooed somewhere on your body and you get infinite entries. 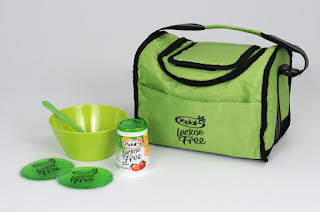 Disclosure: Prize pack, information and giveaway have been provided by Yoplait through MyBlogSpark. I think I would like to try strawberry! and i'd love to try the strawberry. Key lime pie could be acomplished perhaps with some lime syrup or juice and graham cracker crumbles. I want to try Cherry. My teenager just found out she is lactose intolerant, and she loved dairy. It has been a hard transition. I'm happy to hear about this new option. She has missed yogurt. I'm a simple kind of gal :) I can't wait to try Strawberry or maybe even Strawberry Banana! I follow both of you already on Facebook and now on Twitter too!